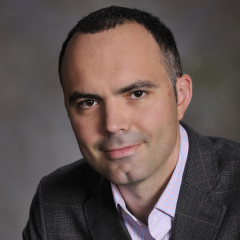 Besnik Pula is Assistant Professor at Virginia Tech (Ph.D., University of Michigan; M.A., Georgetown University; B.A., Hunter College). Dr. Pula’s research interests lie in the comparative political economy of developing countries, postcommunist transformations, and the social and institutional impacts of globalization. His current interests include issues of European integration and what those processes have meant for both regional economies in Europe as well as the global political economy more generally. He is currently working on a book-length project tracing the fate of east European socialist economies to the globalizing dynamics following the world economic crisis of 1973. He is also working on a number of smaller projects involving patterns of ownership and the organizational transformation of firms in postsocialist economies.